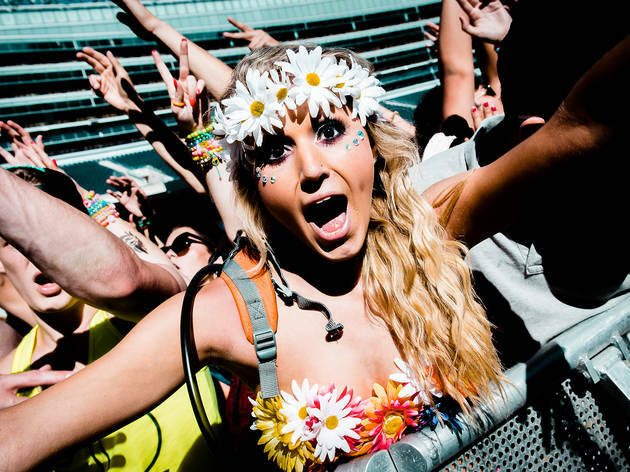 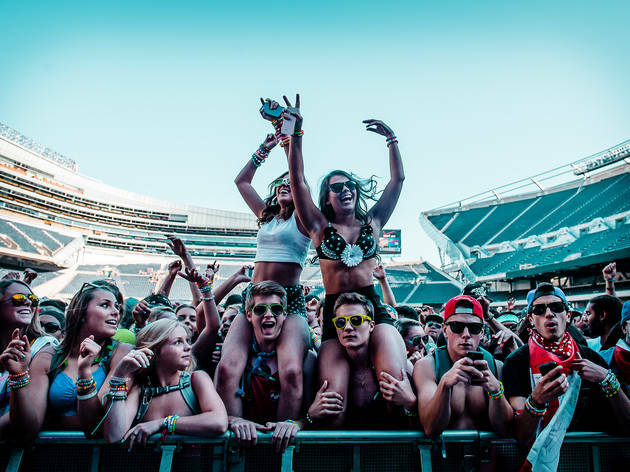 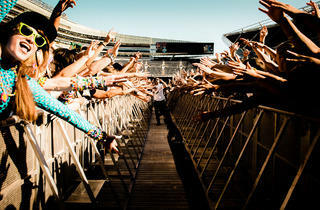 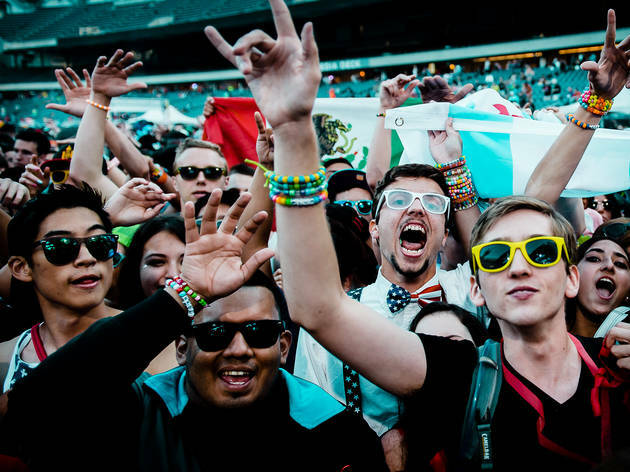 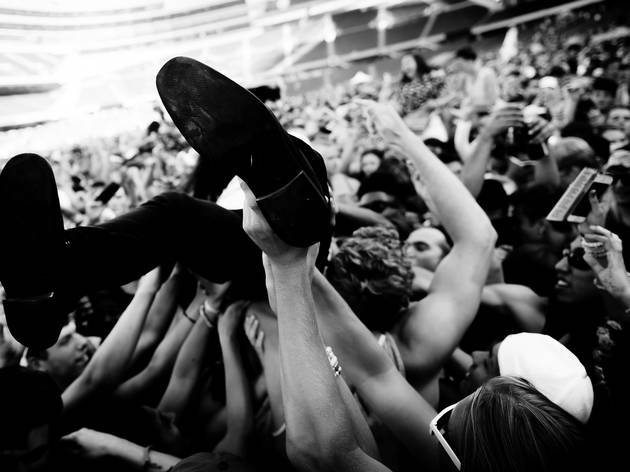 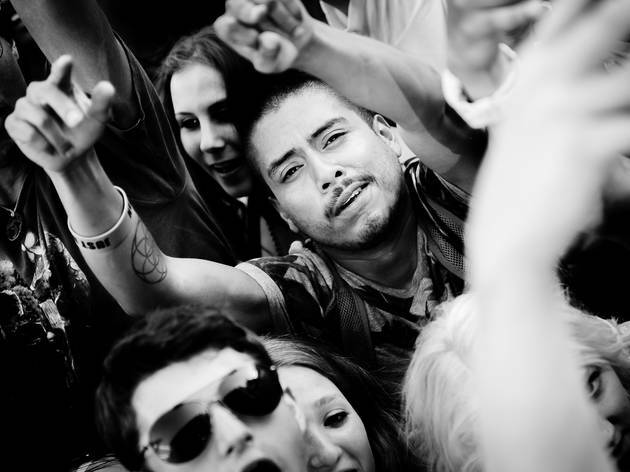 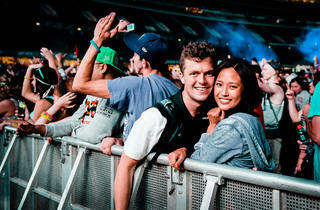 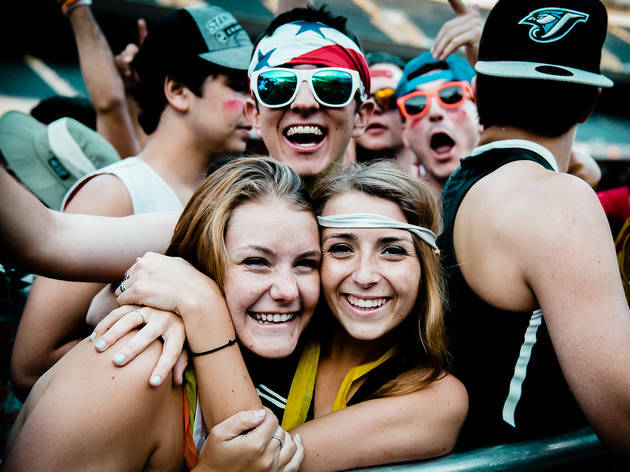 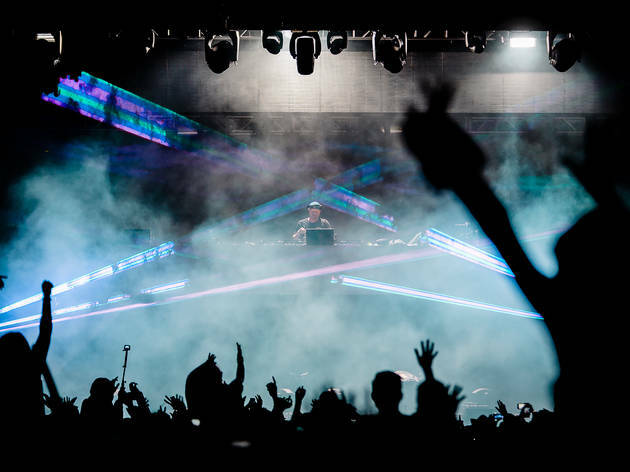 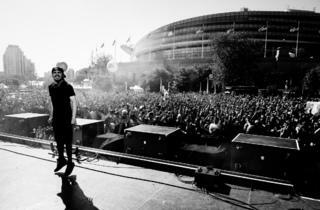 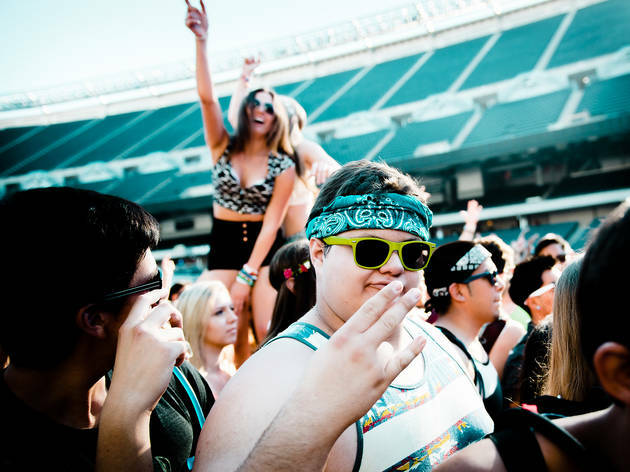 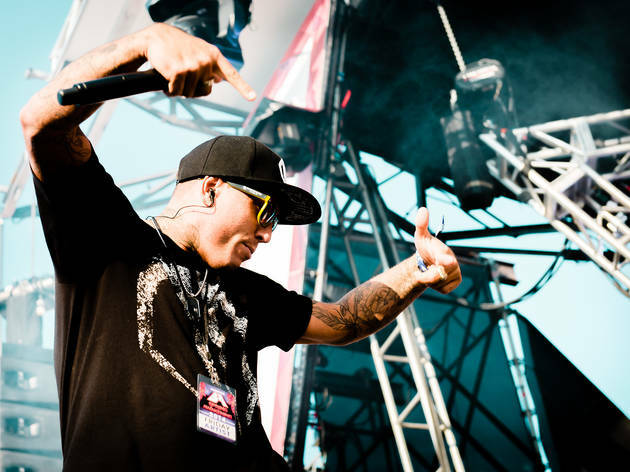 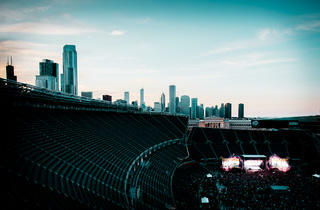 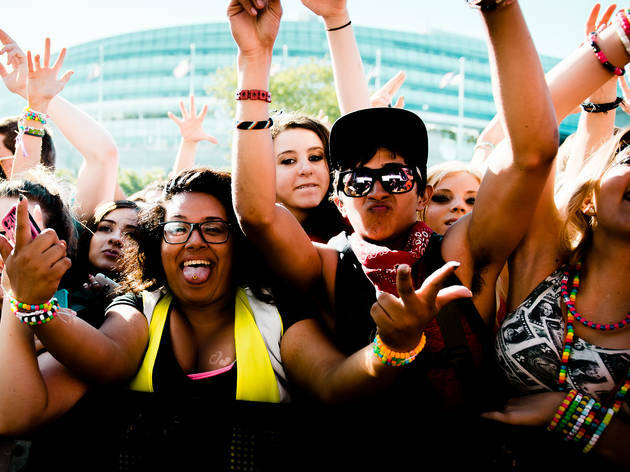 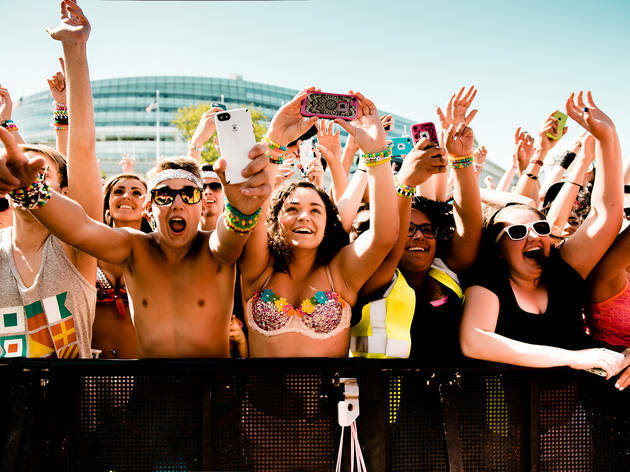 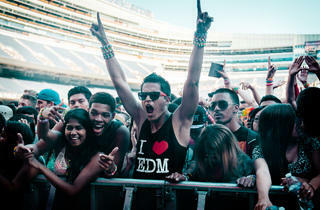 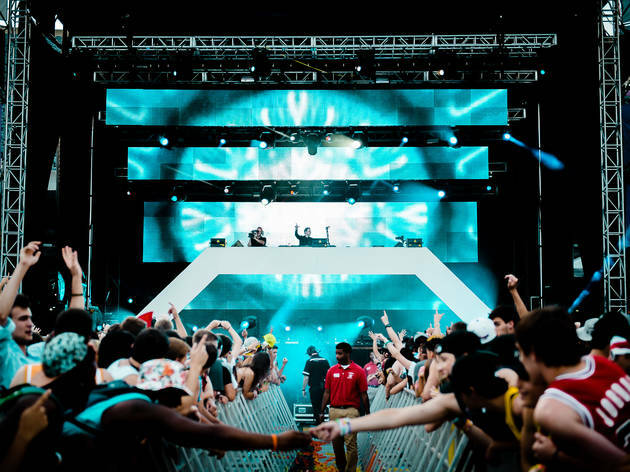 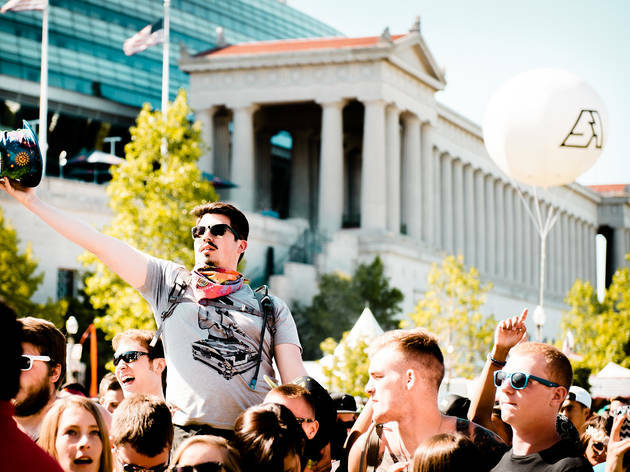 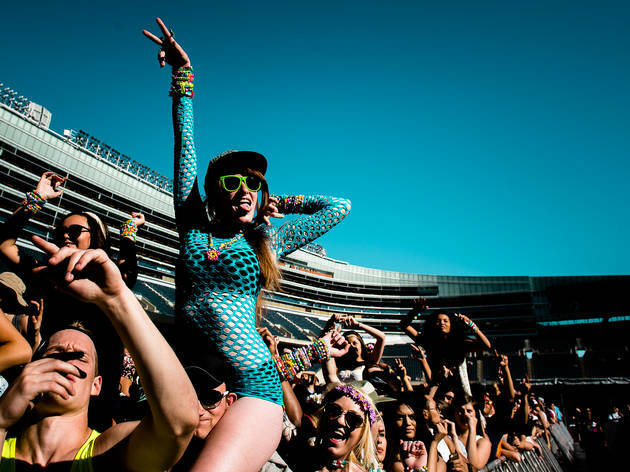 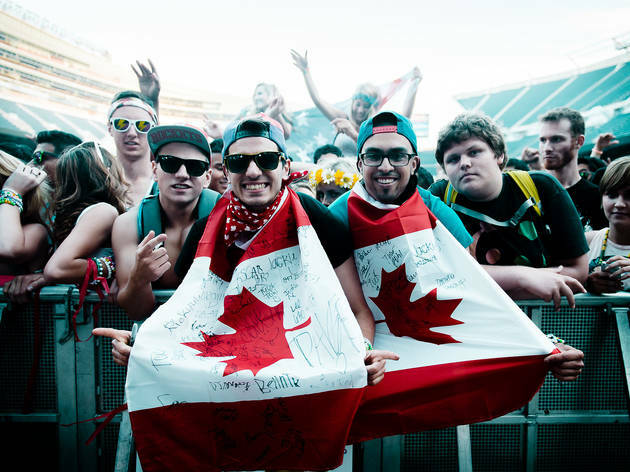 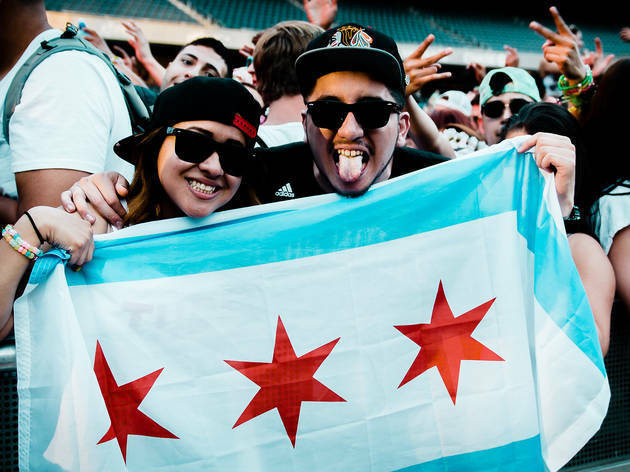 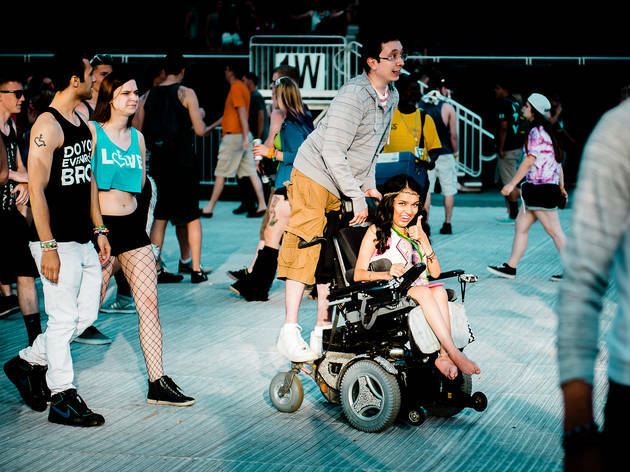 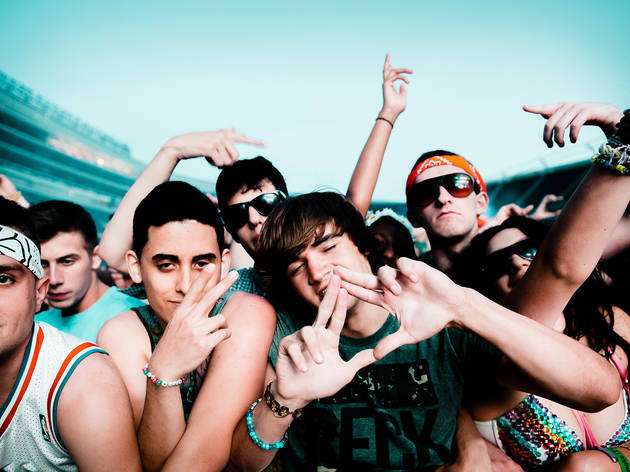 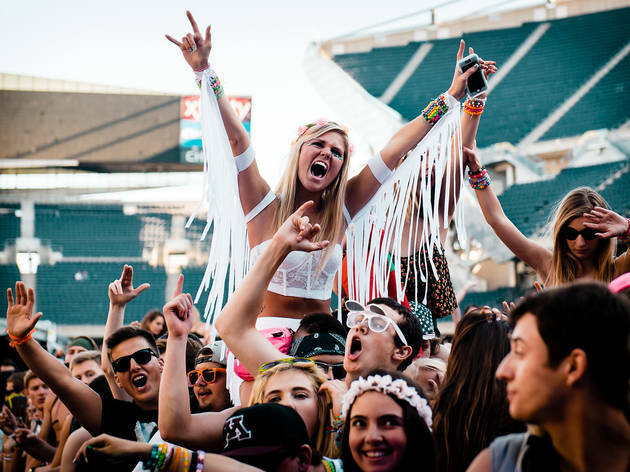 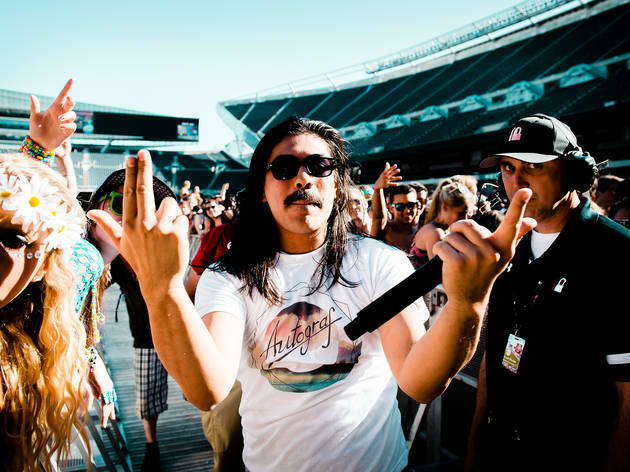 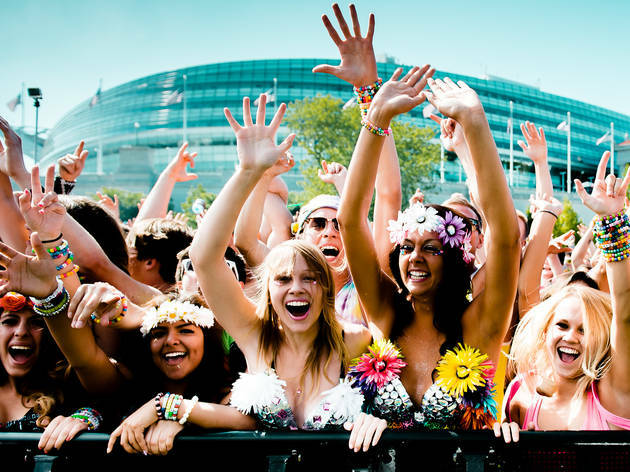 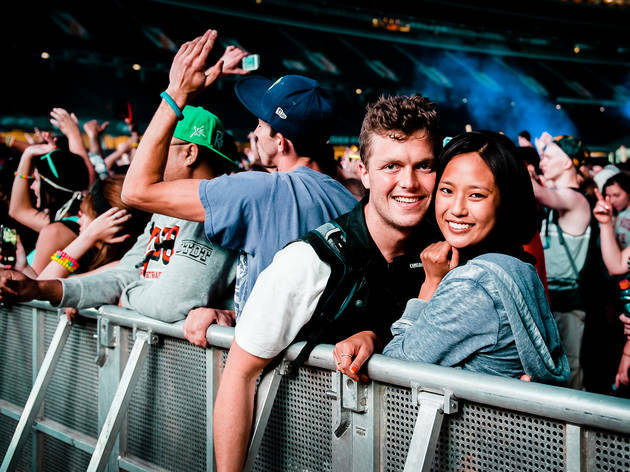 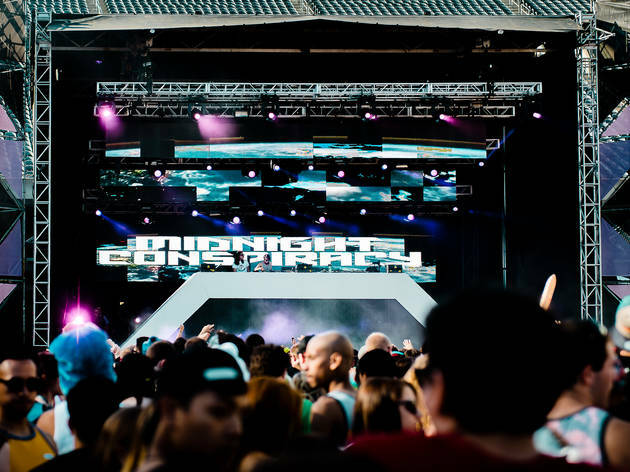 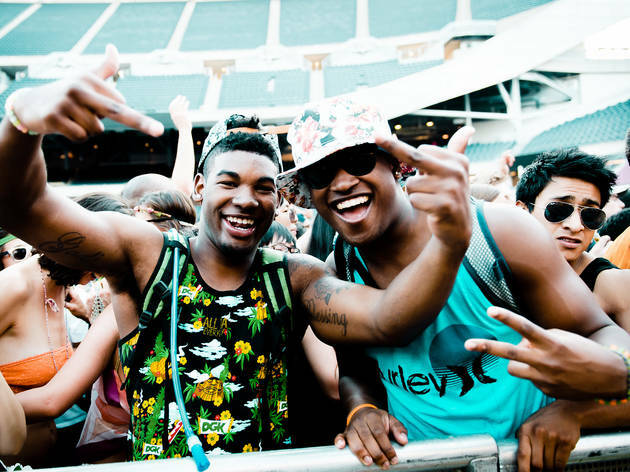 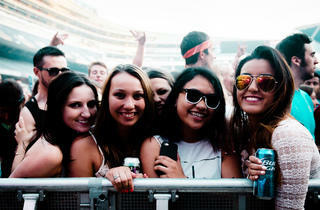 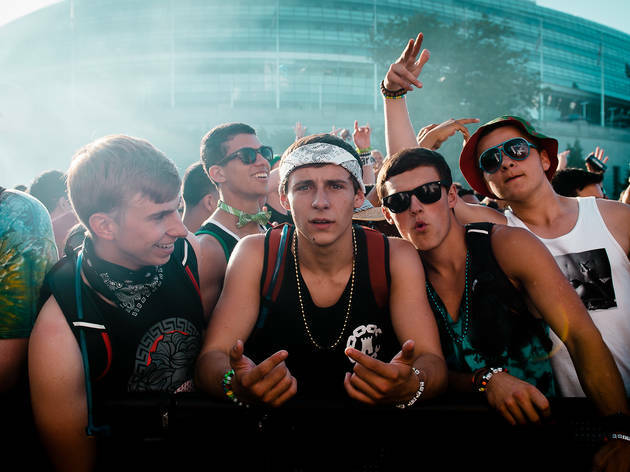 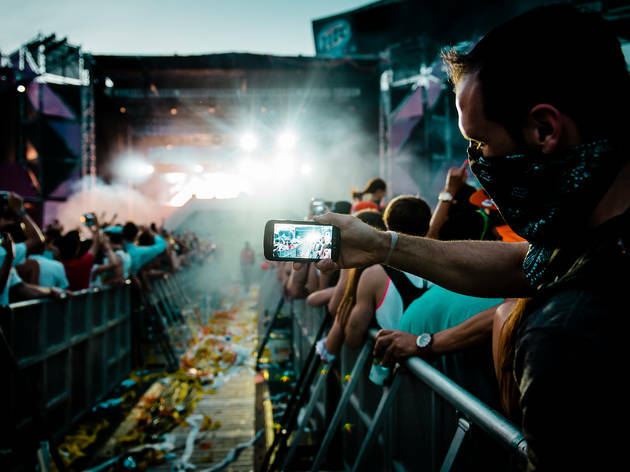 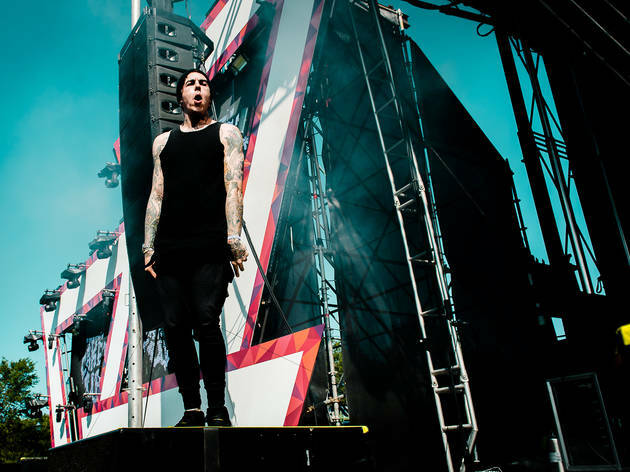 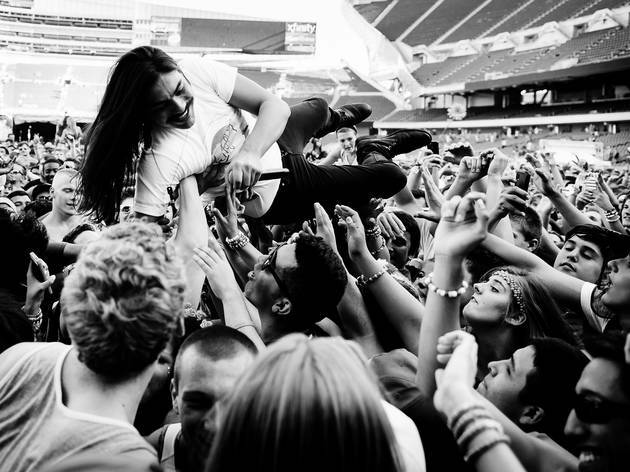 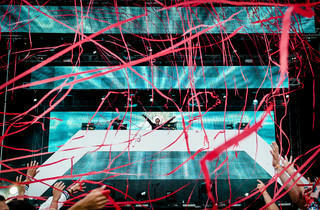 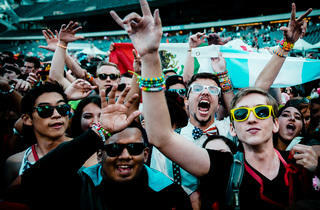 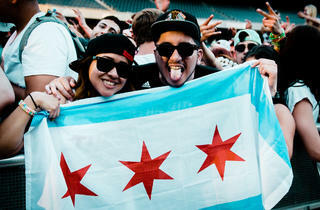 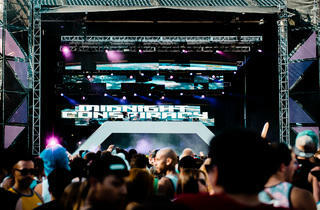 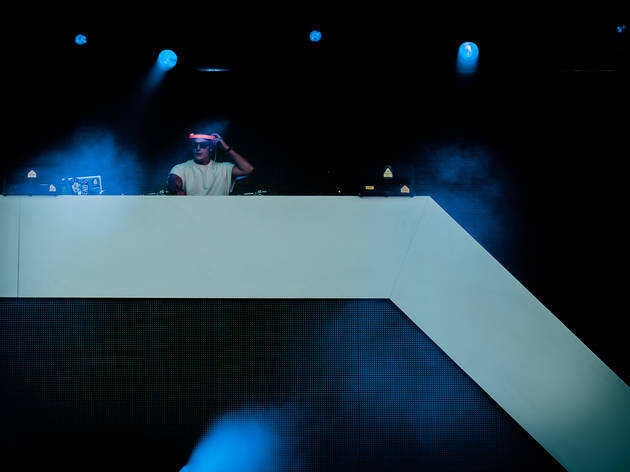 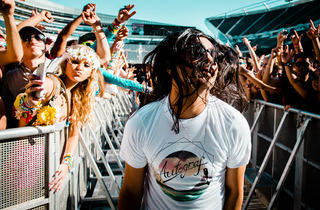 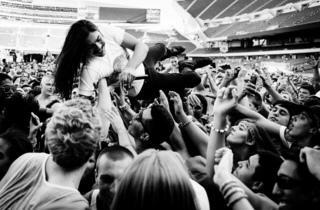 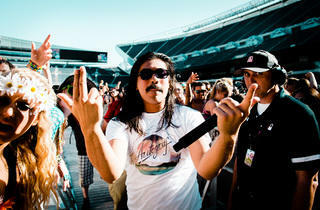 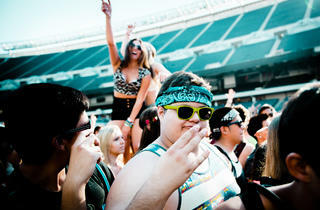 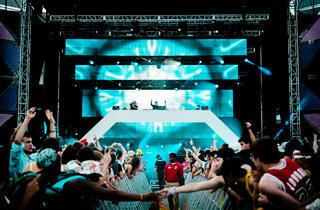 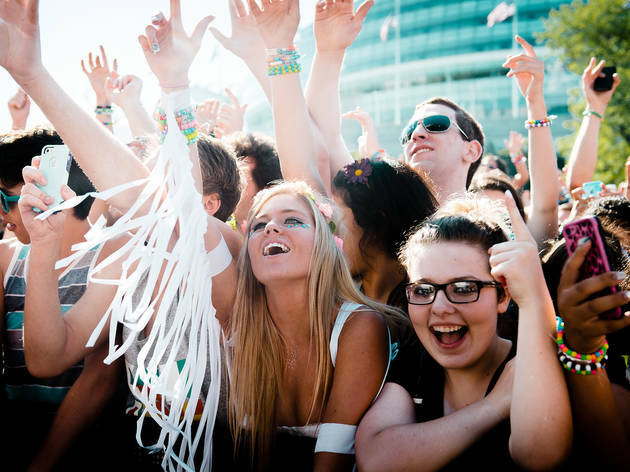 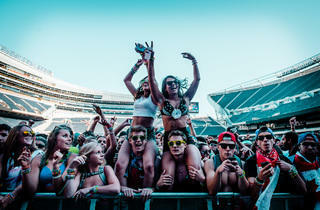 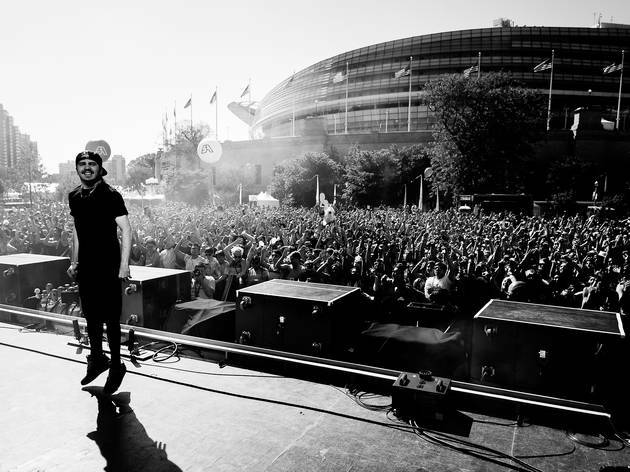 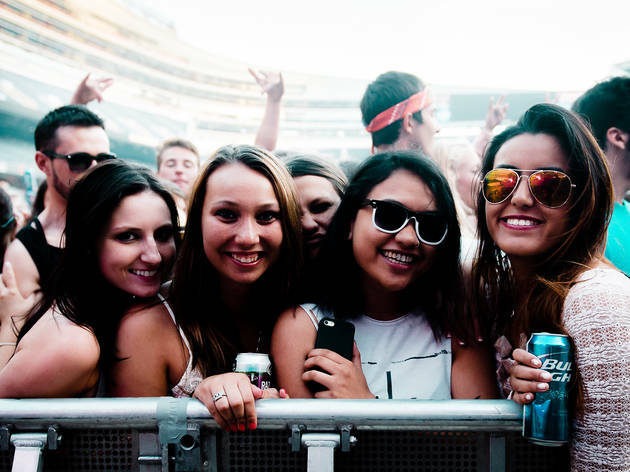 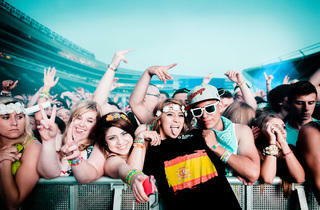 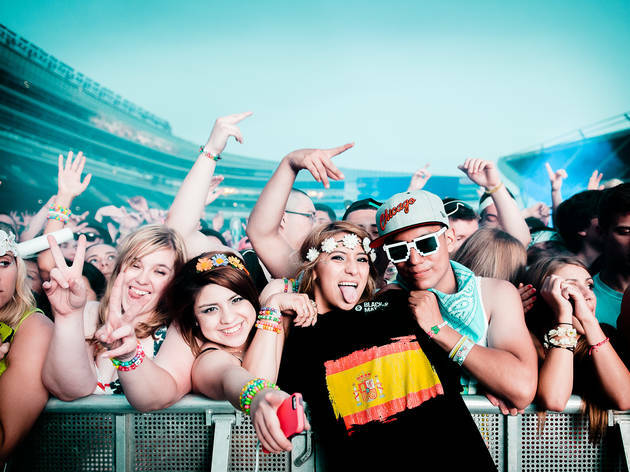 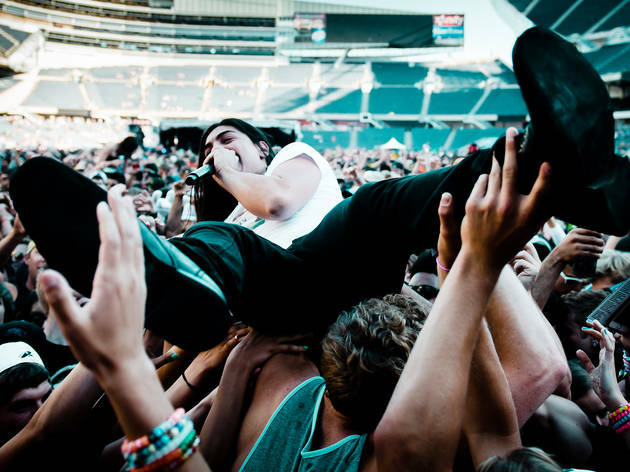 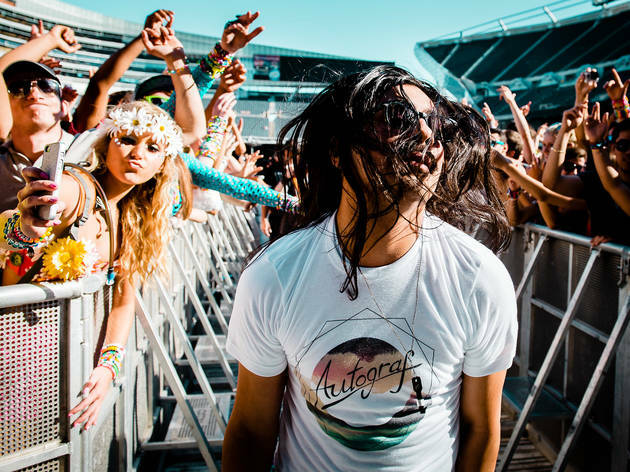 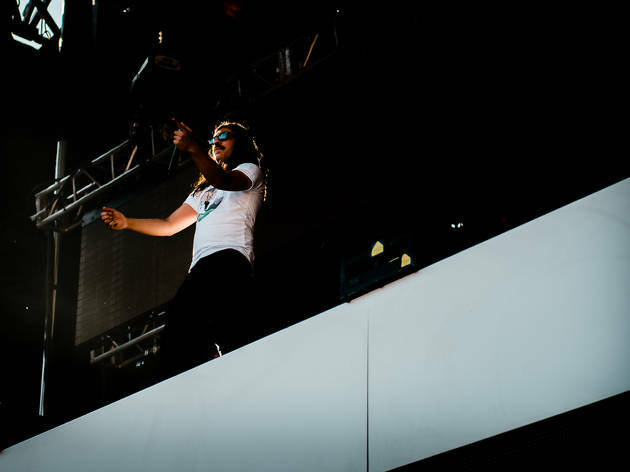 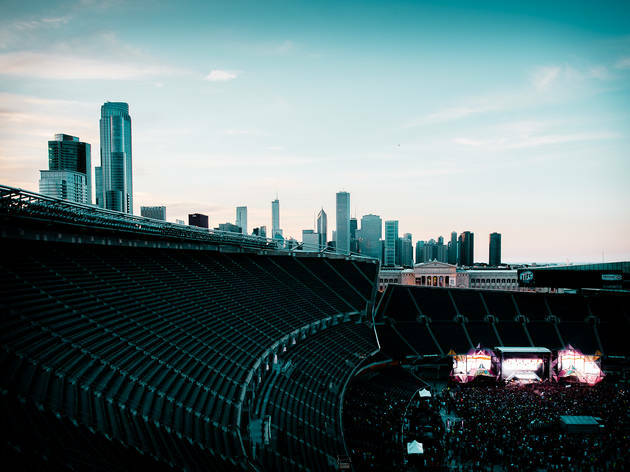 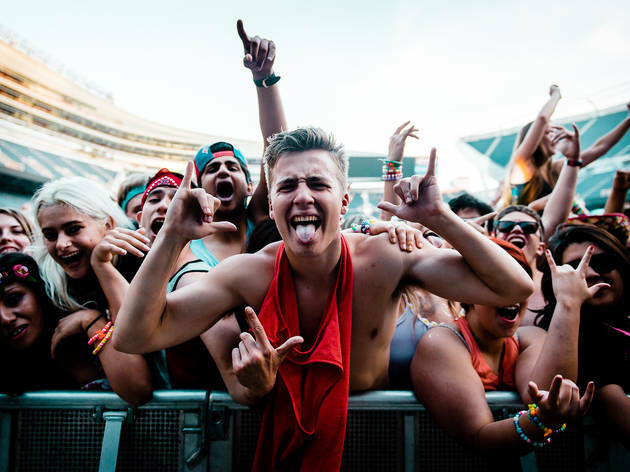 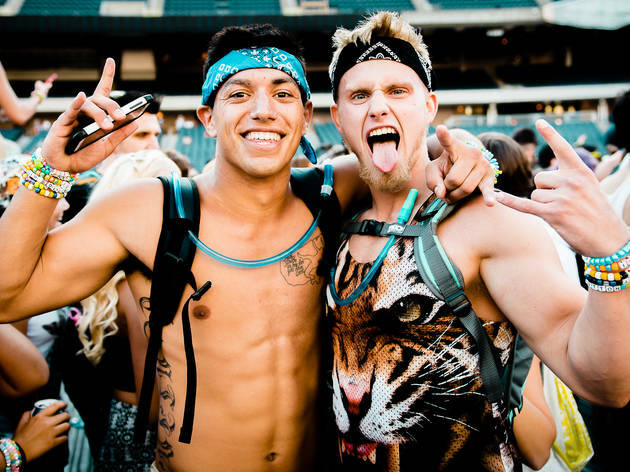 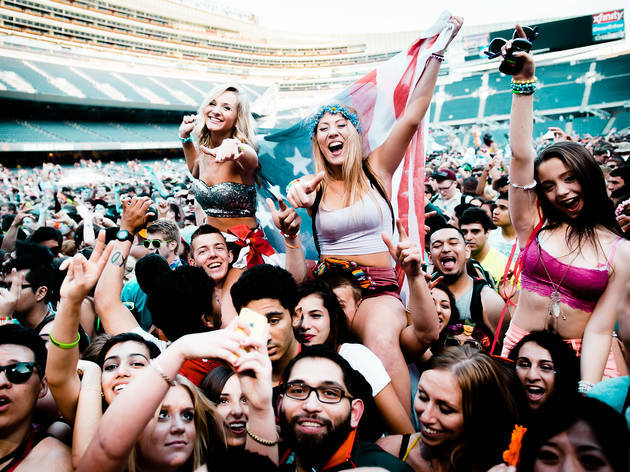 Photographer: cousindaniel.comSpring Awakening Music Festival, June 13, 2014: Dance music fans descend on Soldier Field for DJs and EDMs biggest acts. 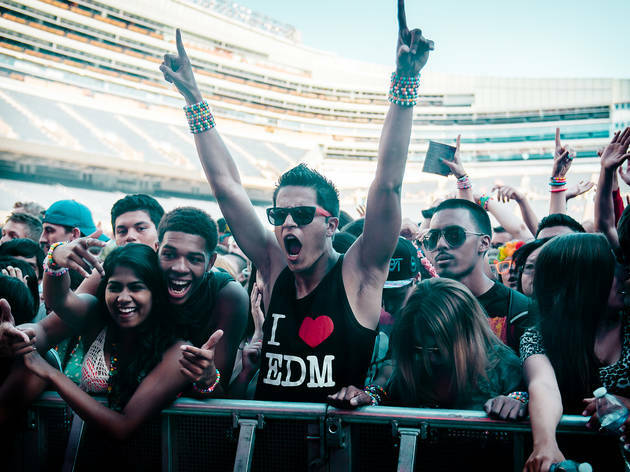 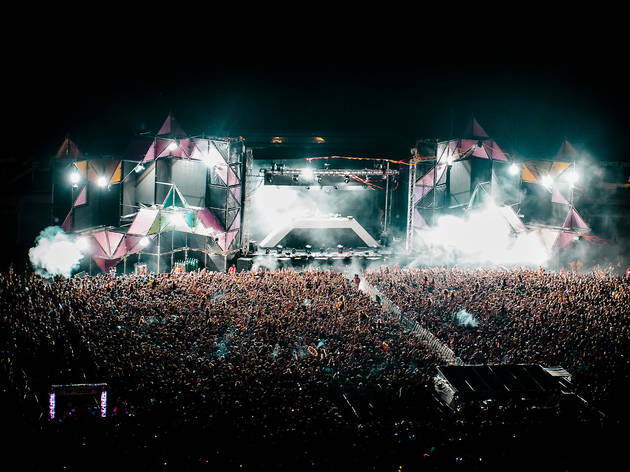 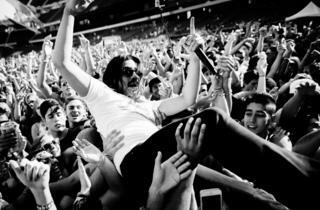 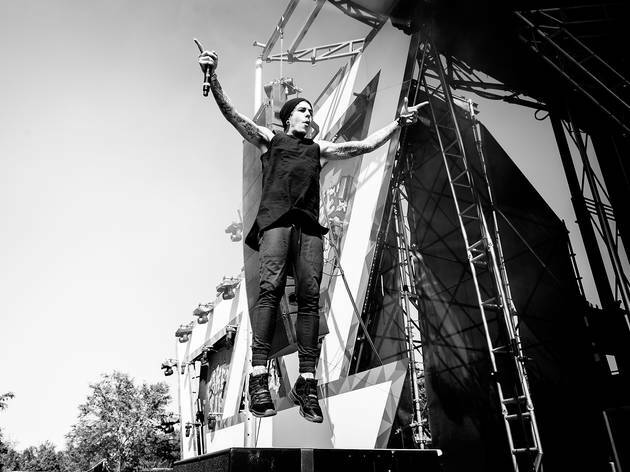 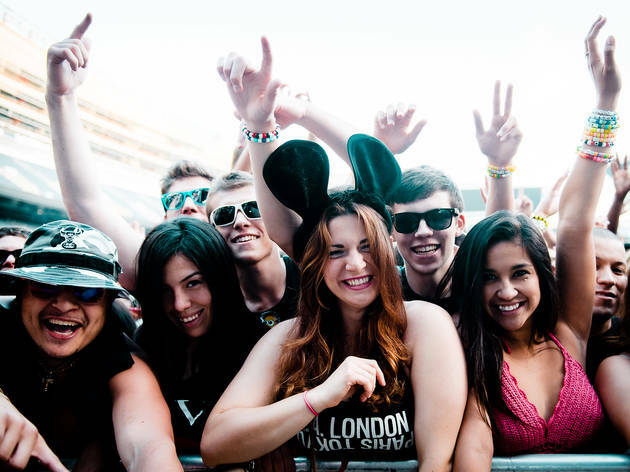 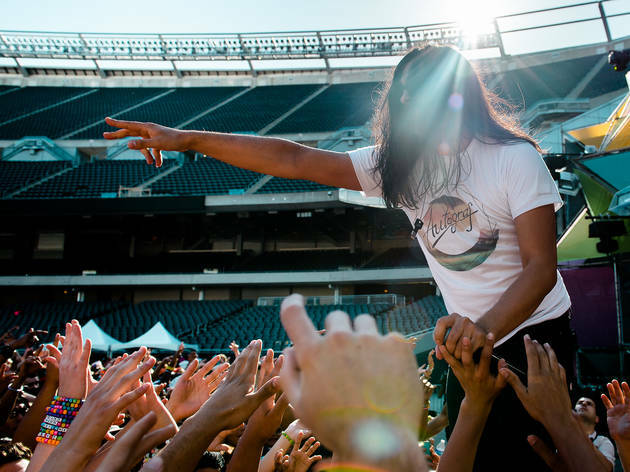 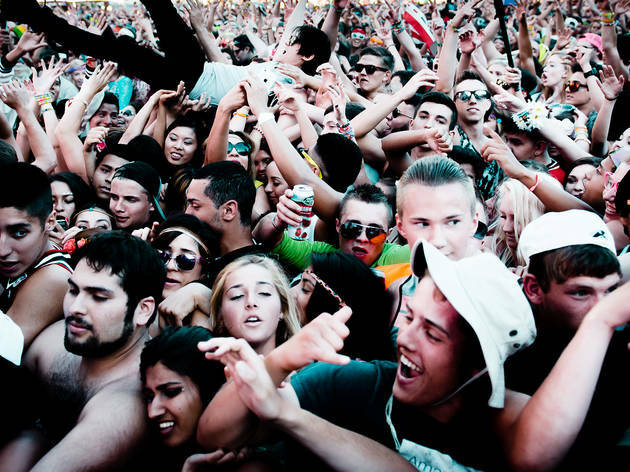 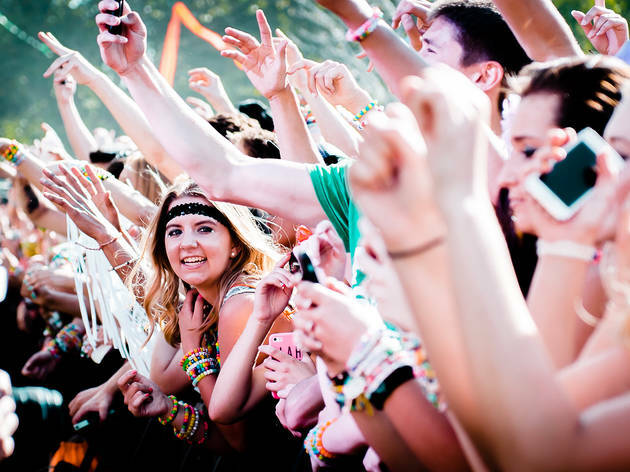 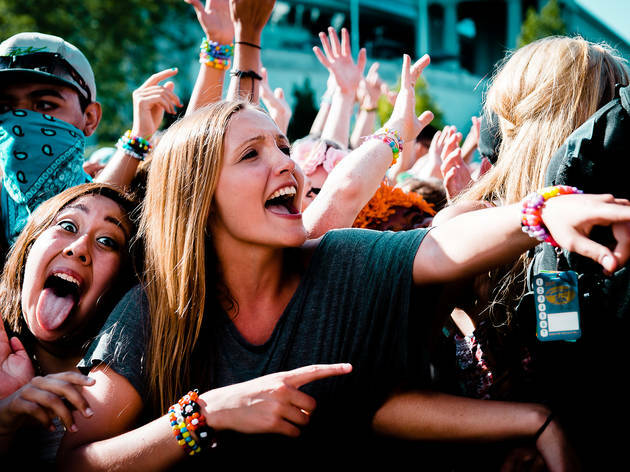 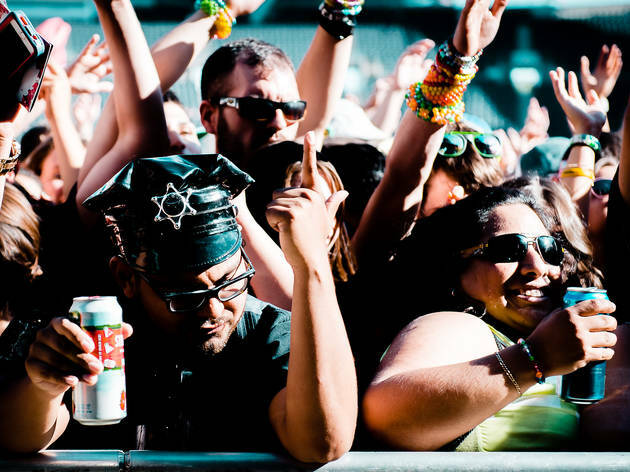 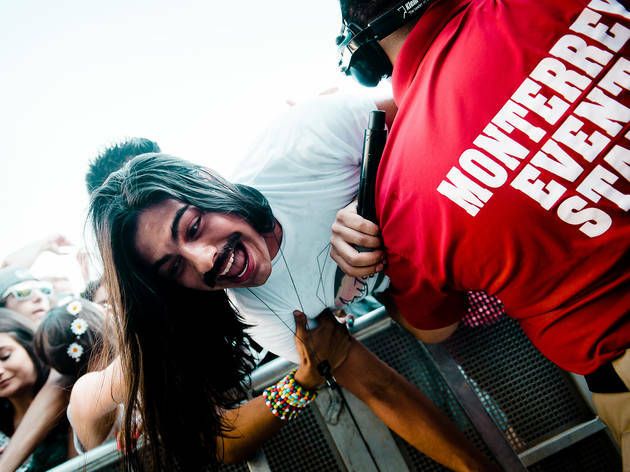 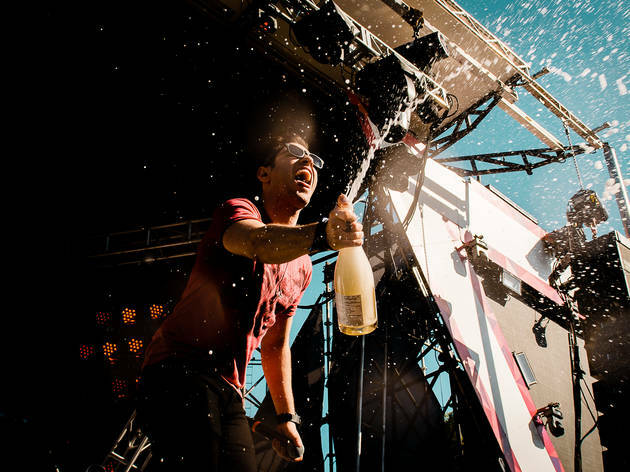 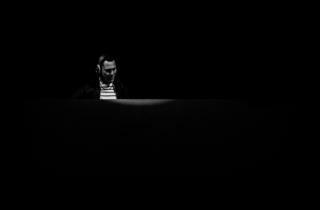 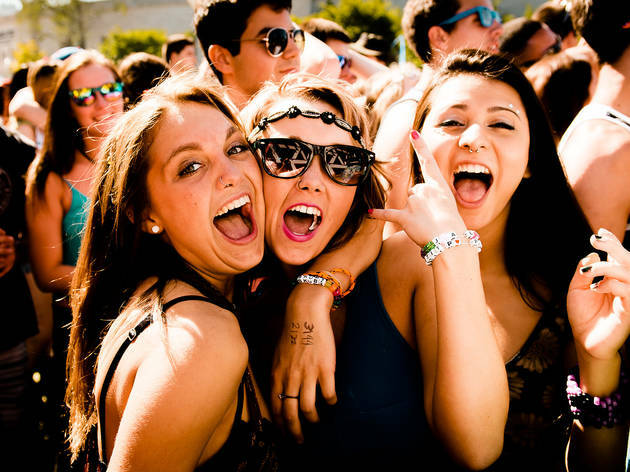 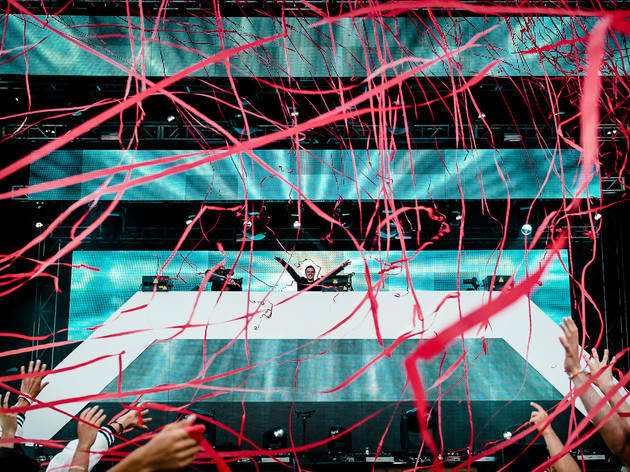 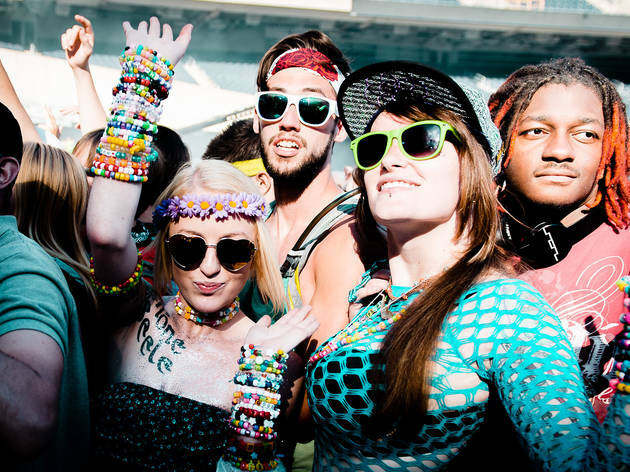 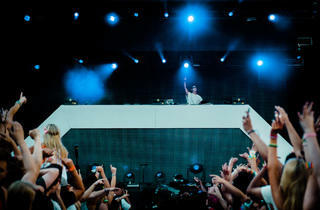 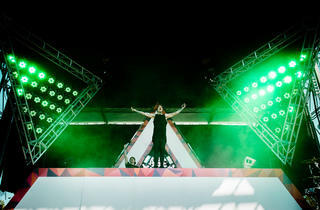 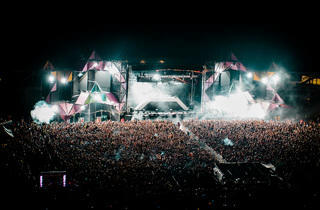 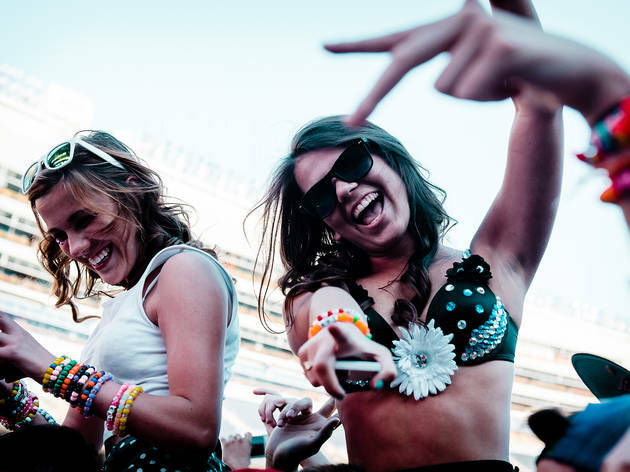 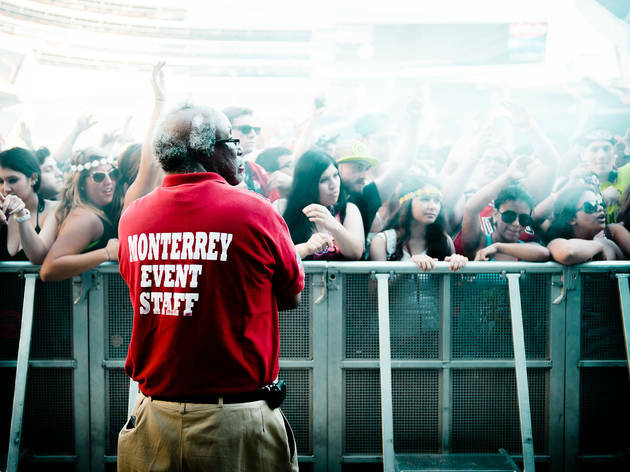 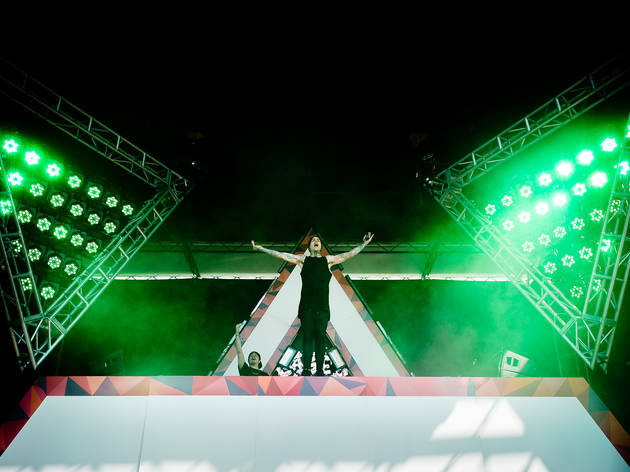 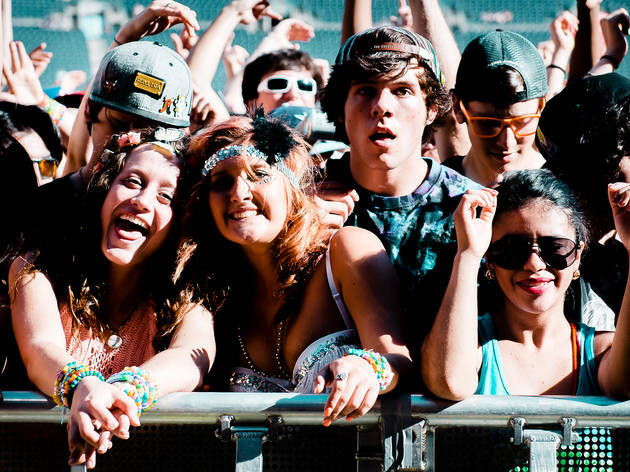 The first EDM festival of the summer season has officially kicked off. 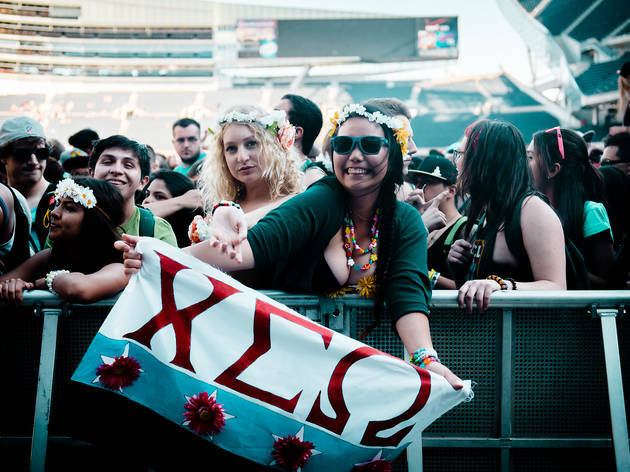 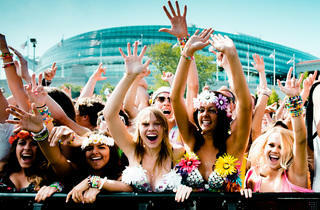 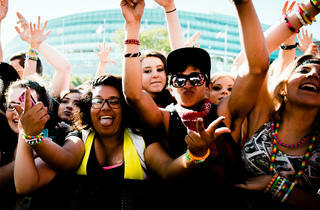 Flocks of electronic fans headed to Soldier Field for the first day of Spring Awakening. 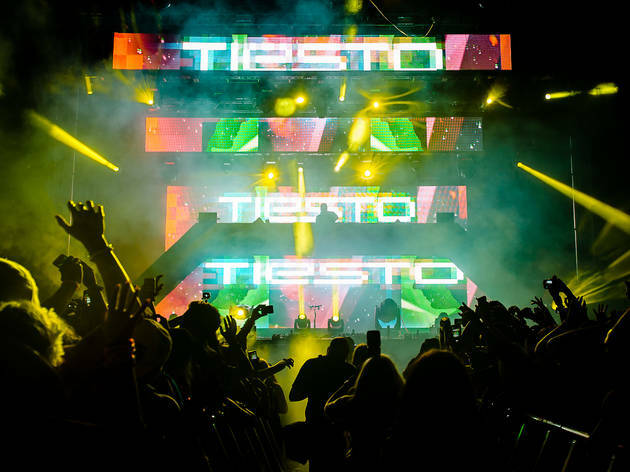 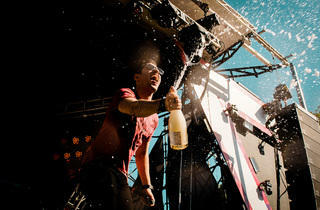 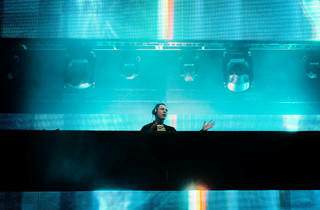 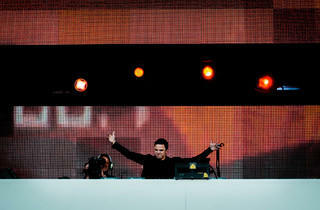 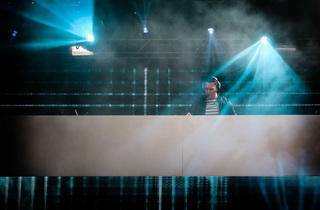 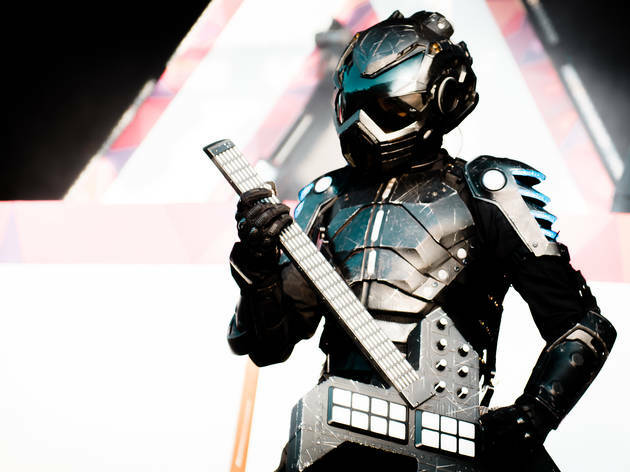 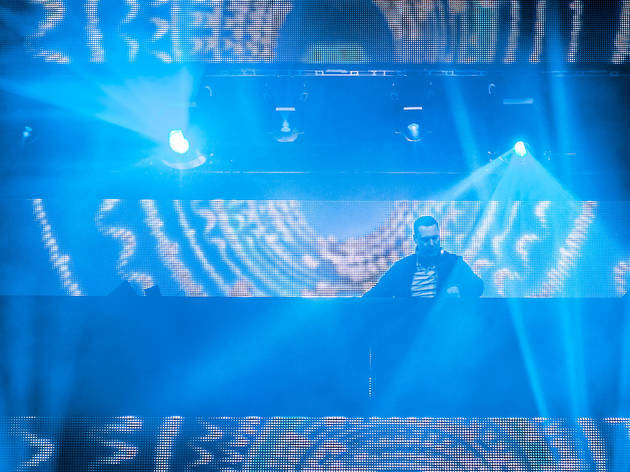 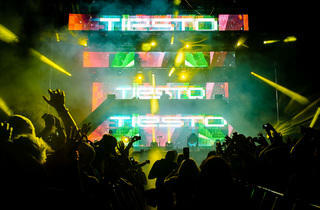 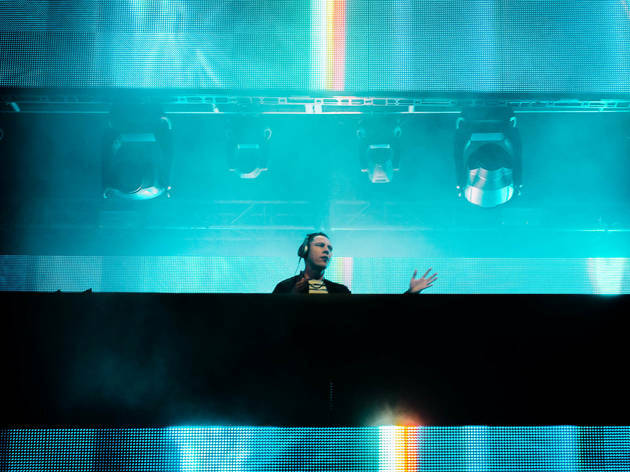 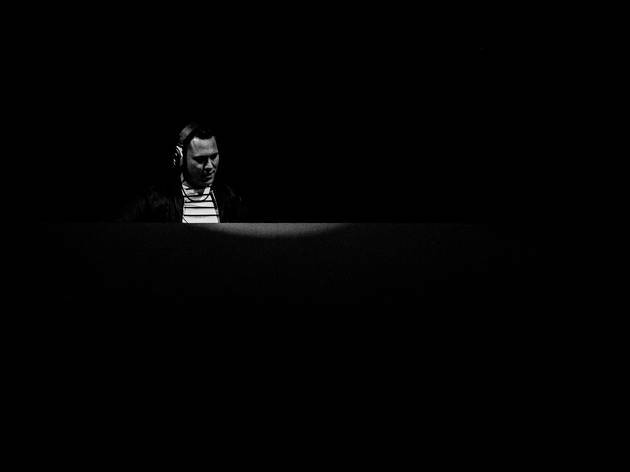 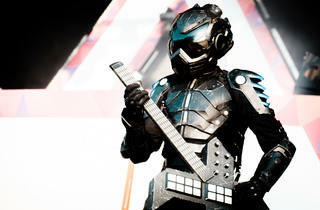 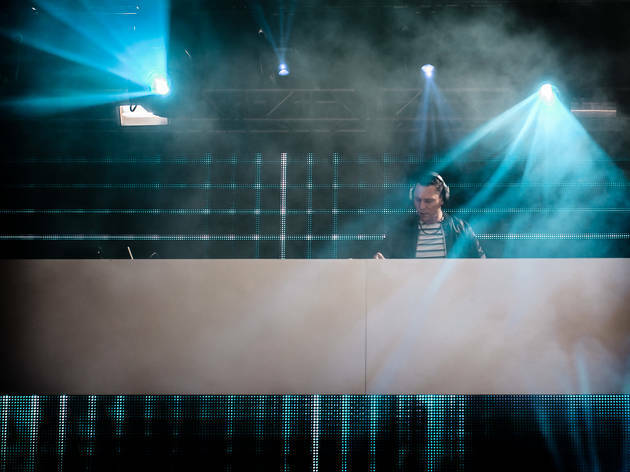 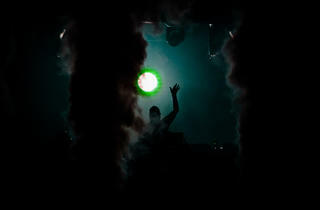 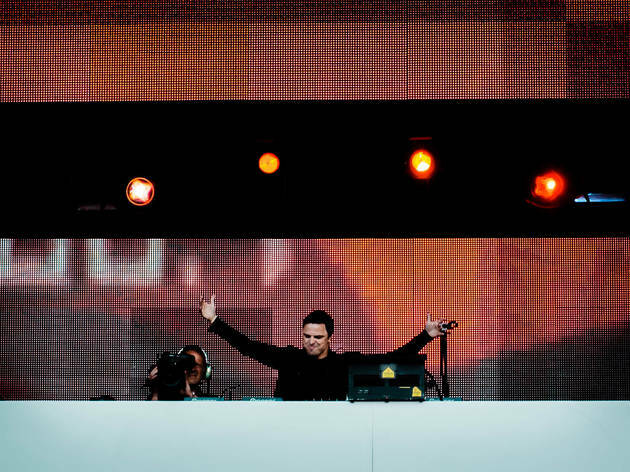 Crowds gathered inside and outside of the stadium to watch a robot playing a keytar, champagne-popping DJs and Tiësto's dazzling headlining set. 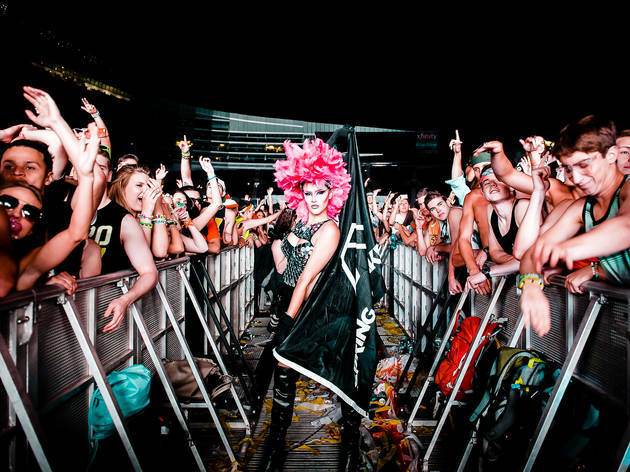 We were there to capture the club kids, crowdsurfers, bros and cosplayers that make these events such a treat for the eyes (we haven't forgotten ears—we have images of DJs, too). 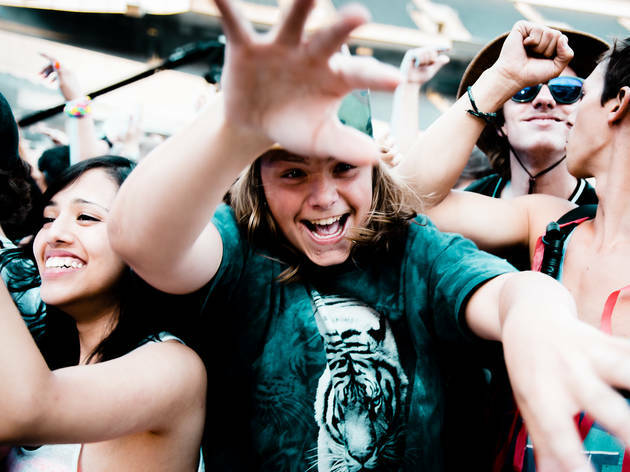 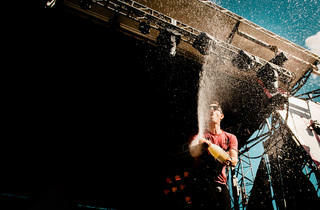 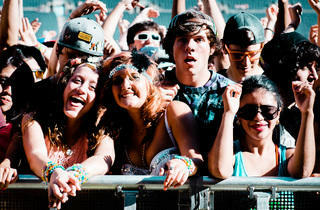 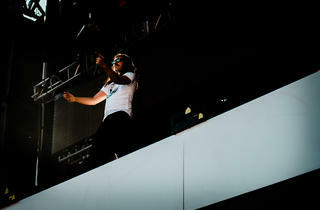 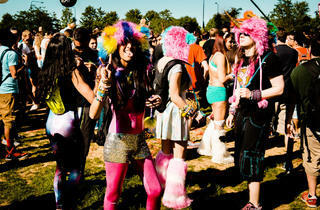 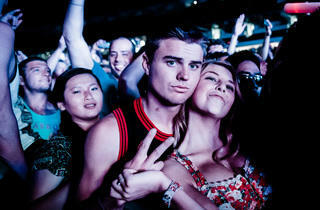 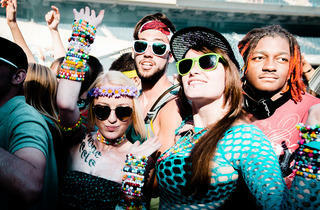 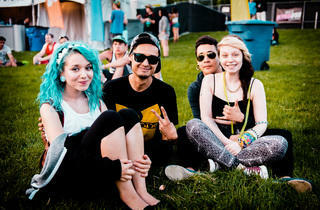 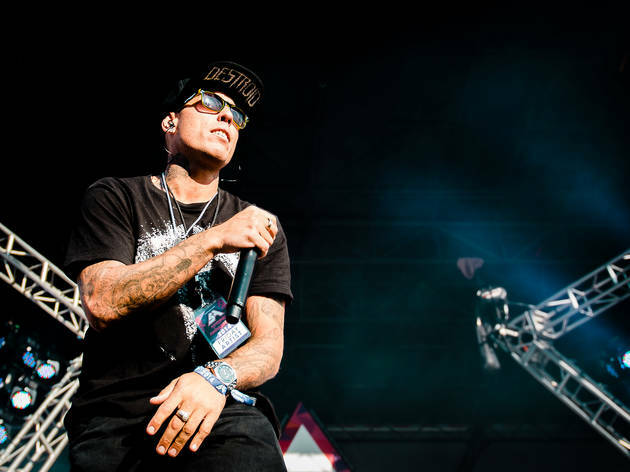 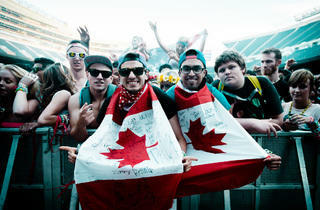 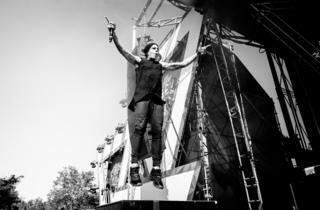 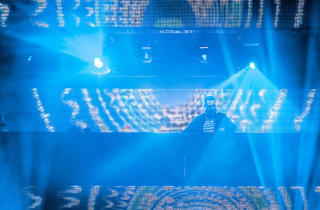 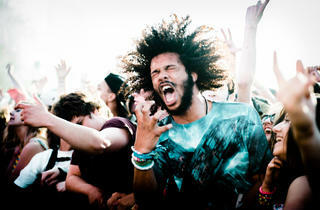 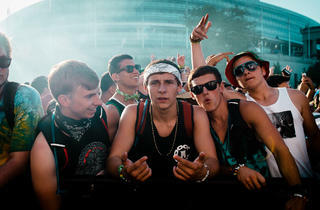 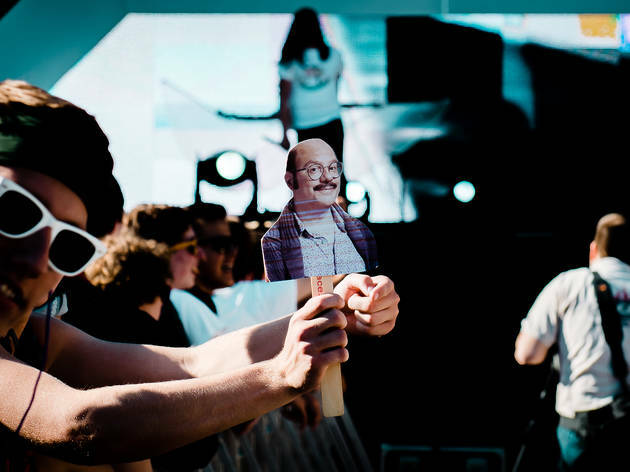 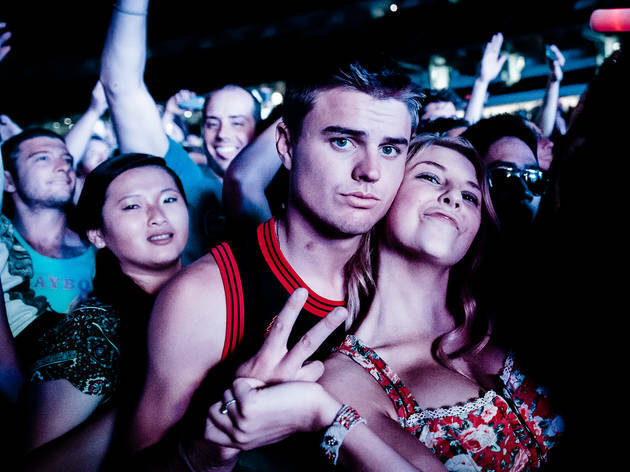 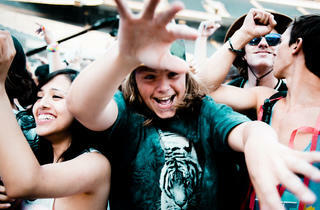 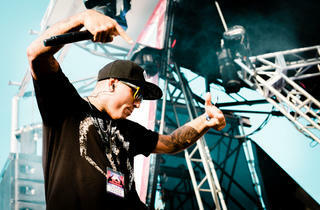 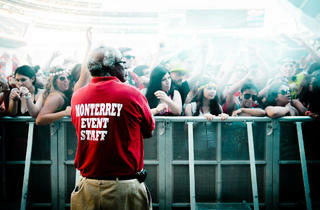 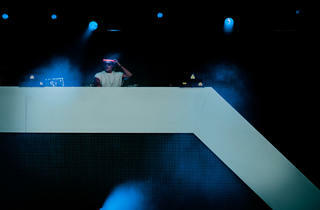 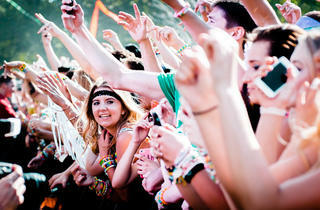 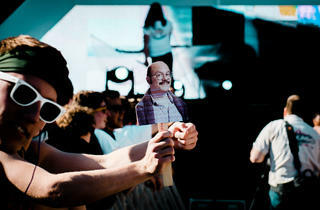 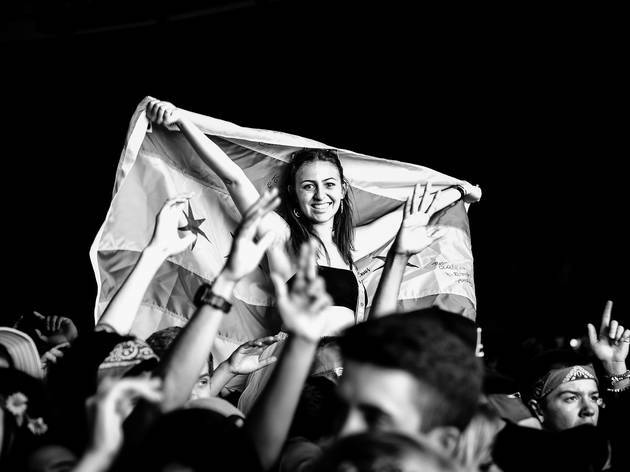 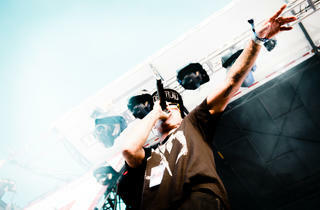 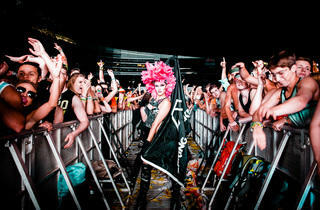 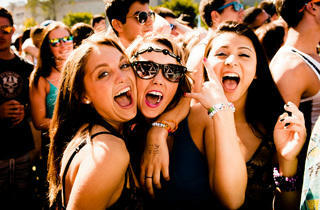 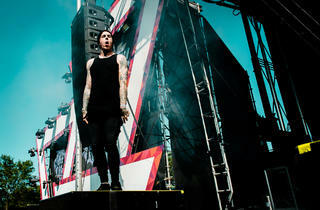 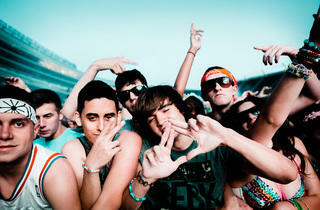 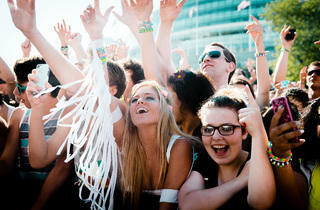 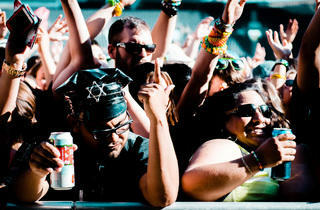 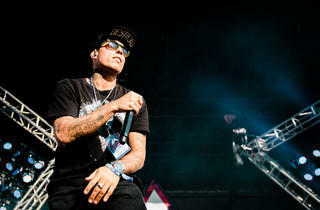 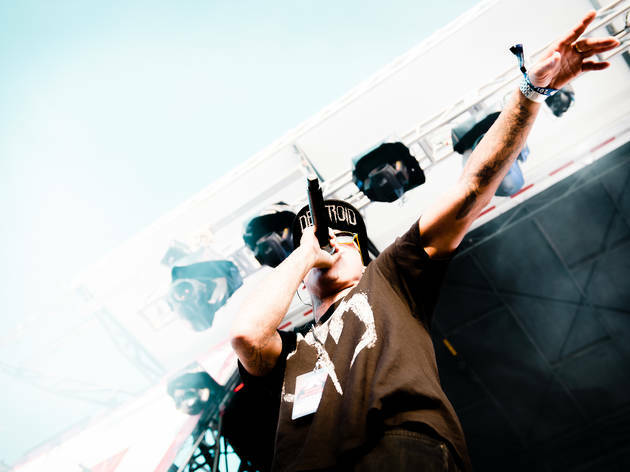 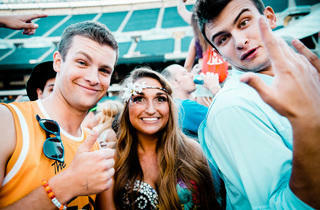 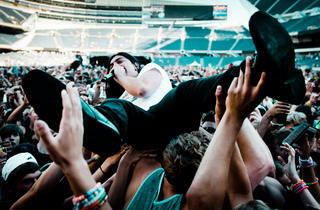 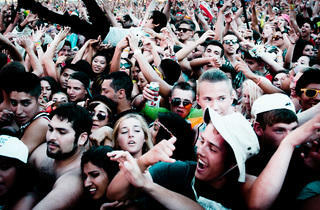 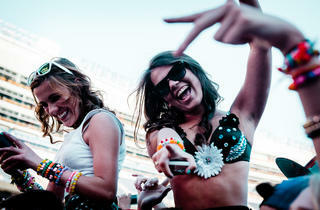 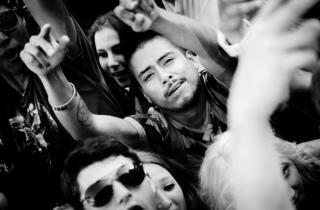 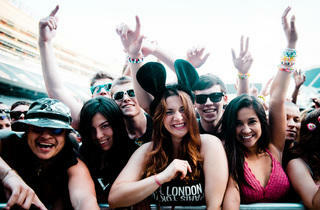 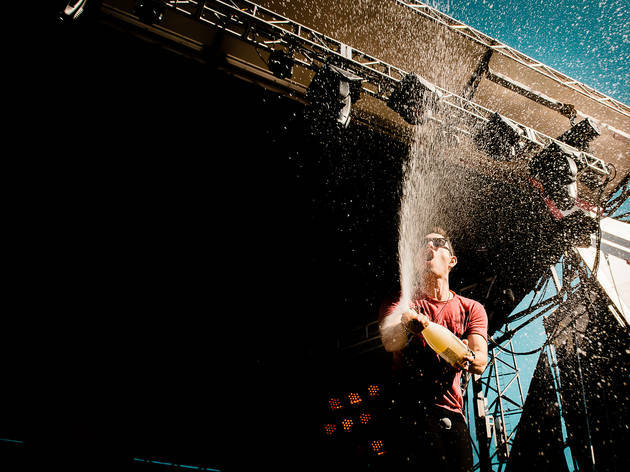 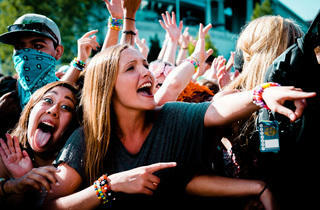 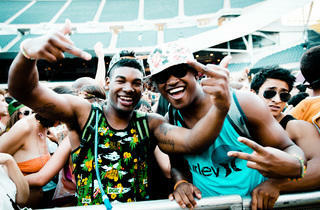 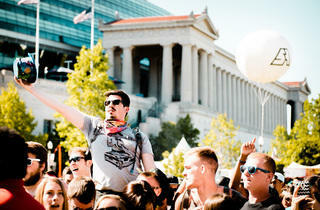 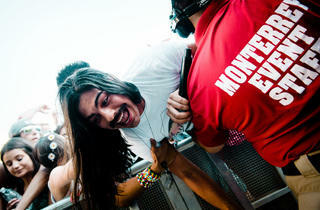 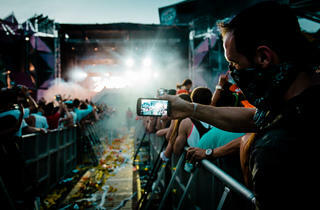 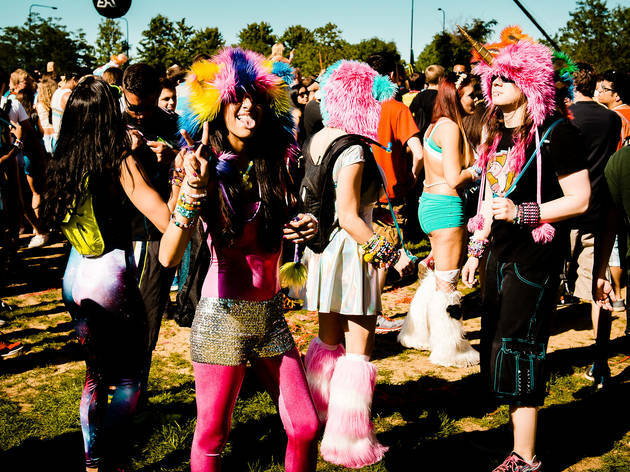 Check out pictures of our favorite festivalgoers from Friday.